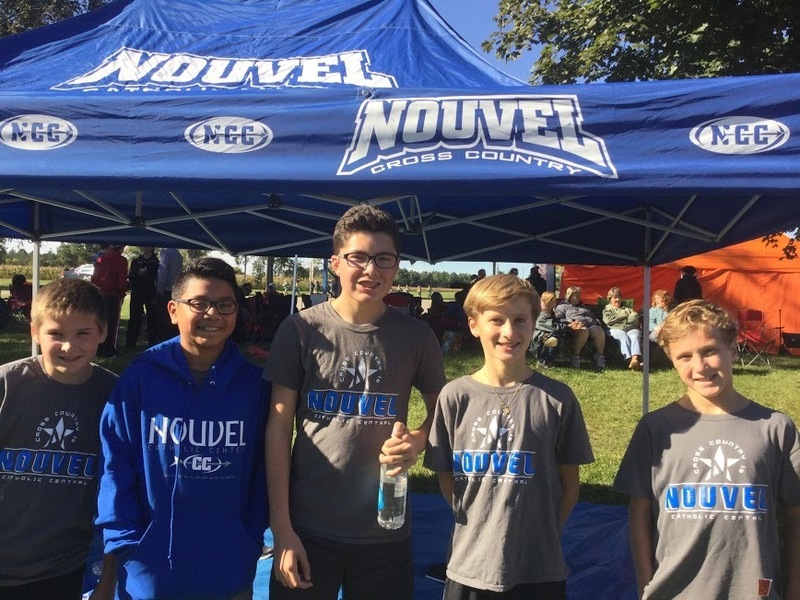 Nouvel Catholic Central Elementary students not only participate in a physical education program that is focused on motor skills development, aerobic fitness and cognitive skills development, they also continue their education in sports participation. It is this combination of learning that helps the students develop teamwork, sportsmanship, responsibility and enthusiasm for athletics. As students mature, it is important to provide an environment in which they can grow and progress comfortably while gaining the necessary training to enhance their athletic abilities. Through the support of the NCCE Athletic Association, students are given the opportunity to compete in a variety of sports throughout the school year. The NCCE Athletic Association contributes to the development of healthy active schools. The Athletic Association encourages lifelong participation in physical activity, distributes information about fair play, respect and sports etiquette, and reinforces sports safety, knowledge and skills. Your support of our fundraising and concessions directly impacts our student and family experience at Nouvel. Please use your Athletic Association NCCE SPORTS PASS to join us at all home games!